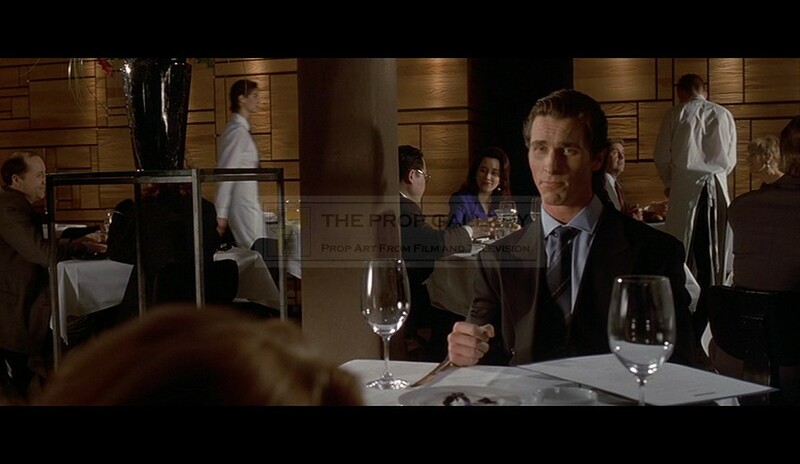 An original prop used in the production of American Psycho, the 2000 black comedy horror starring Christian Bale, Willem Dafoe and Jared Leto. 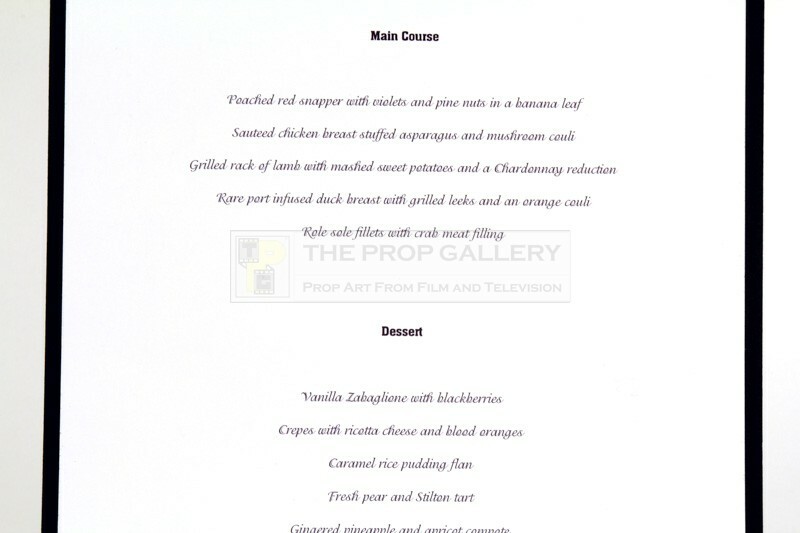 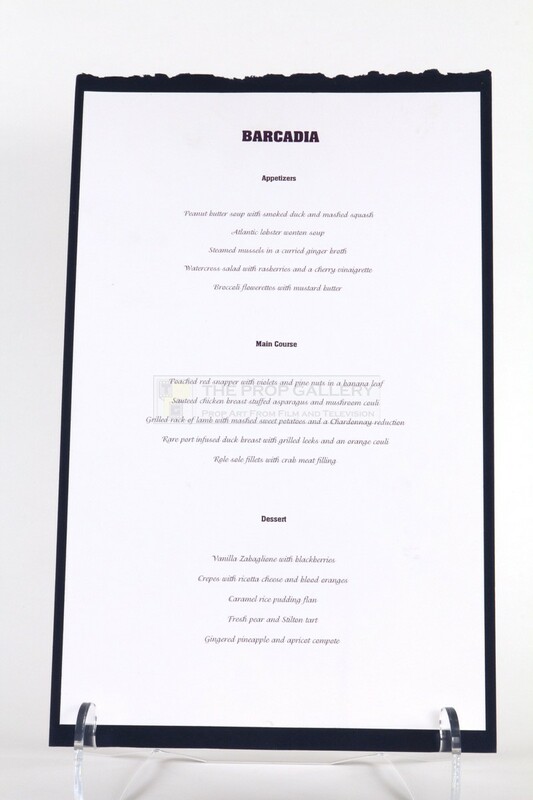 A menu identical to this can be seen used in the memorable scene where Patrick Bateman (Christian Bale) dines with the drugged Courtney (Samantha Mathis) at the Barcadia restaurant. 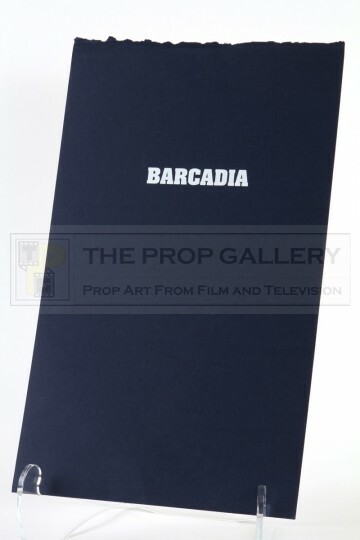 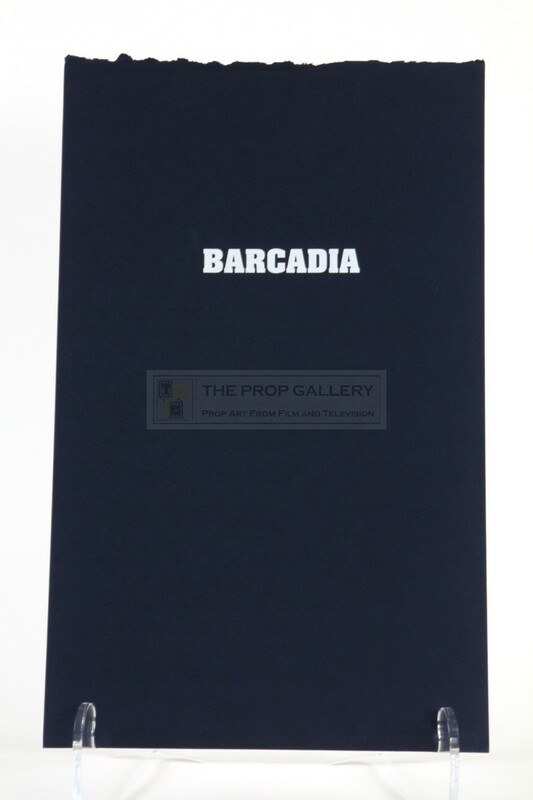 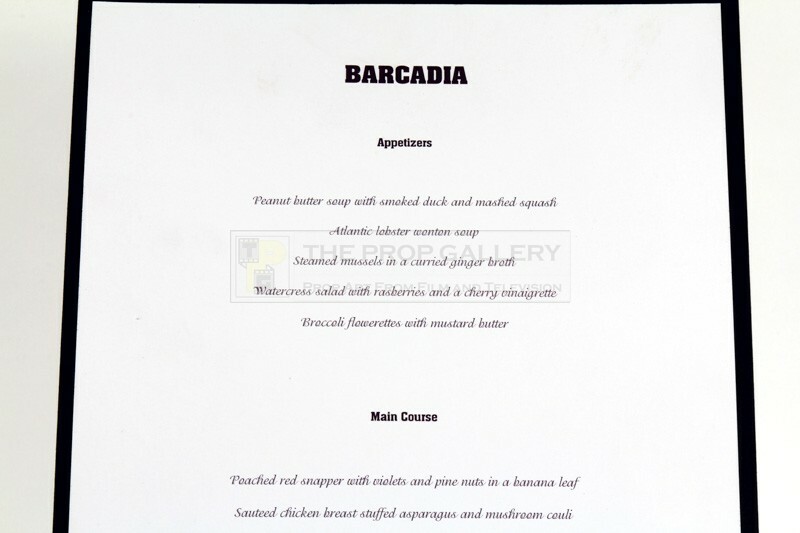 The custom made menu is constructed from textured blue card featuring the name of the restaurant 'BARCADIA' is stylised white lettering, to the other side an applied paper contains the printed menu which includes the peanut butter soup with smoked duck and mashed squash starter and poached red snapper with violets and pine nuts in a banana leaf main course which Bateman orders for his date. The menu measures approximately 16" x 10" and remains in excellent production used condition with some minor edge wear, overall very fine. 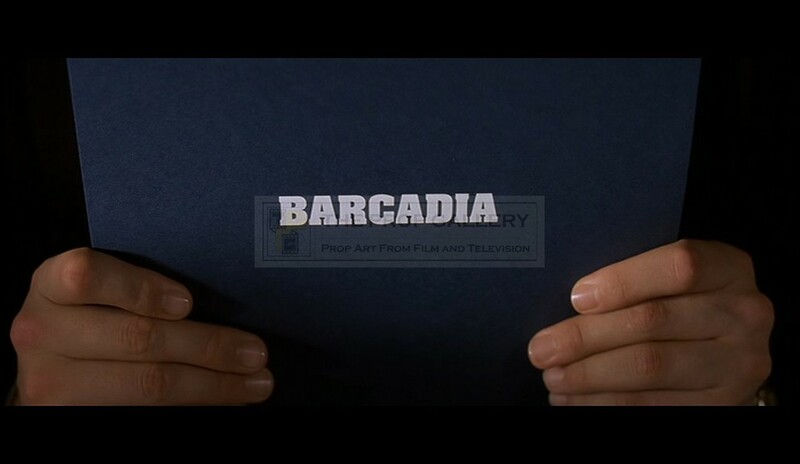 An extremely rare and displayable artefact from a memorable scene of this well received picture.